As the place where Jesus was born, lived and died, Palestine has a rich Christian history. The Christian population of Palestine has declined significantly over recent decades. More about Christians in Palestine is in three papers – one from Kairos Palestine, another by the Jerusalem Inter-Church Centre, and the third by Bernard Sabella of Bethlehem University. Kairos Palestine: A moment of truth is a document produced in 2009 and signed by all the heads of Christian Churches in Palestine. This document is the Christian Palestinians’ word to the world about what is happening in Palestine, and calls on international community to stand by Palestinians in their work for freedom and justice. It includes a request for Christians to revisit any theology that that “that legitimizes the occupation”. Kairos Palestine continues as an international movement of solidarity and support for churches. The Sabeel Liberation Theology Center is an ecumenical grassroots liberation theology movement among Palestinian Christians. The word “Sabeel” is Arabic for ‘the way’ and also a ‘channel’ or ‘spring’ of life-giving water. Sabeel organises a biannual international theology conference as well as other local programs. Alternative Tourism Group both offers local tours and guidance about responsible tourism for people visiting Palestine. 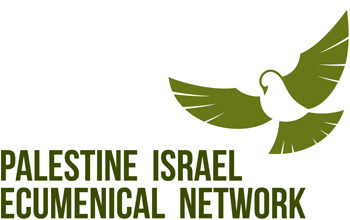 In 2010 they organised an international conference that produced the document Come and See: a call from Palestinian Christians which gives practical guidelines for Christians travelling to the Holy Land. There are many other Christian Palestinian organisations in Palestine, including the Lutheran Based International Centre of Bethlehem, the Holy Land Trust in Bethlehem.